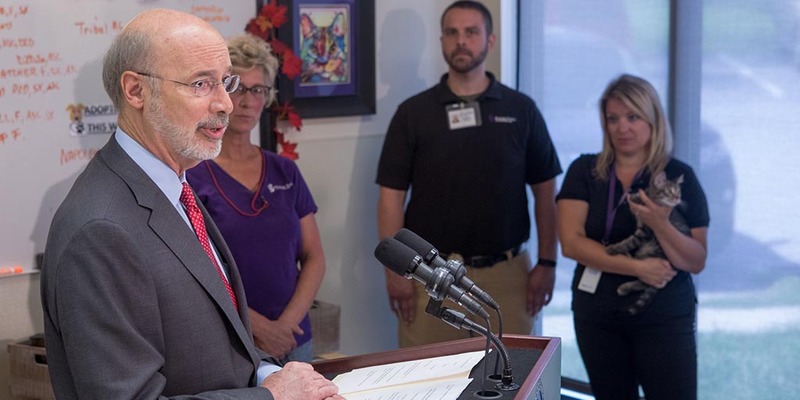 Harrisburg, PA – Governor Tom Wolf today joined advocates at the Humane Society of Harrisburg to remind the public that Act 10 of 2017 goes into effect on Monday, August 28, 2017. Act 10, which strengthens Pennsylvania’s animal cruelty laws, was signed into law in June 2017. Act 10 was introduced by Rep. Todd Stephens, who was also on site for today’s event.